The Gaitanista Self-Defense Forces of Colombia (AGC), the South American country’s largest neo-paramilitary group, has 8,000 members, the group’s spokesperson told Colombia Reports. The number given by AGC spokesperson “Raul Jaramillo” is considerably higher than the number estimated by authorities. According to the National Police, the AGC has “no more than” 3,000 members, already making it the country’s largest illegal armed group. But, Jaramillo told this website that the group has approximately 8,000 members, “including intelligence personnel. According to the AGC, it is a paramilitary group with a military hierarchy, political activities and significant territorial control, all conditions to be considered a politically oriented force. “The authorities and media are trying to deny our true reality,” said the spokesman of the group also known as “Los Urabeños” in an email. “They always try to minimize the organization, as if they’re dealing with some narcos,” said the neo-paramilitary leader who has never before agreed to go on the record. The national government considers the group formed by dissident members of paramilitary group AUC an organized crime organization, dedicated mainly to drug trafficking and extortion. “To say that in Colombia there exists paramilitarism means granting political recognition to a bunch of bandits dedicated to common and organized crime,” Villegas told media last week. But, political recognition is exactly what the AGC is seeking as it wants to take part in the ongoing peace process with the AUC’s former arch enemies, the Marxist FARC guerrilla group. This is the time for generosity, to act constructively and think of the nation’s most important interests. It is also the opportunity to create a more inclusive process than the one that has been taking place, and that we other illegal armed actors are asked to participate in am effort to swing Colombians’ preference in favor of peace. The history of the AGC began in the early 1990s when dissident members of the Medellin Cartel formed a paramilitary group called “Los Pepes” to combat drug lord Pablo Escobar together with Colombian and US authorities. After the death of Escobar in 1993, the founders of “Los Pepes” founded the AUC, an umbrella organization of paramilitary groups that were active throughout the country. The AUC formally demobilized between 2003 and 2006 in a highly controversial peace process carried out by former President Alvaro Uribe. When Uribe broke his promise not to extradite the AUC leadership in 2008, the AGC announced its existence and began taking control of criminal activities left by its predecessor. Since then, the AGC and other AUC successor groups have become Colombia’s top human rights violator and are accused of having killed hundreds of leftists, community leaders, human rights defenders and journalists since. Additionally, the AGC has claimed that hundred of former paramilitaries were assassinated in an apparent post-demobilization extermination campaign. According to Colombia’s reintegration agency, more than 2,200 demobilized paramilitaries “died” during their reintegration process. 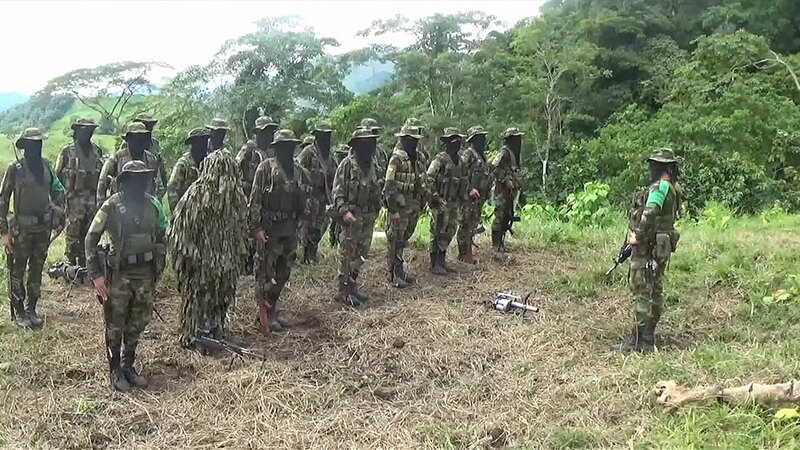 What the AGC wants is to again enter a demobilization, disarmament and reintegration process, this time under the conditions applied to demobilizing FARC guerrillas.